Plans are well underway for the 2018 iMBRA World Championships in Egletons, France, and we just wanted to share with you some information on how it's all going. The official invite and registration forms are nearly completed, and will be sent out as soon as we have finalised all organisation with Egletons’ City team. A Meeting is due at the end of October and we will update you as soon as possible. 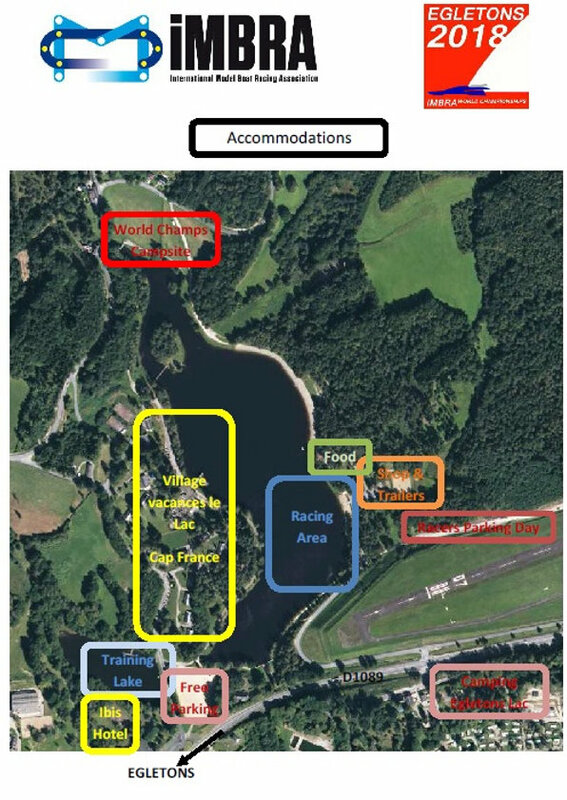 The organisation team are working with all the local hotels and campsites to make sure that there is something for everyone, There is a map of the venue that might help you to make your decision, and there is a list of hotels etc. For those who only wish to be in a hotel, the closest is IBIS and as far as we know this can be booked from today. Opposite to the lake is the “Village vacances le Lac”. The Manager has asked that people do not make enquiries or bookings until January 2018. However, you already can have a look on web , but we will you all as soon as books are being taken. There are also a number of Bed & Breakfast available in and around the town. Keep an eye out on Facebook and the website for more information and news about the 2018 World Championships.